The Infertility Overachievers: An Open Letter to Birth Control. I HATE YOU! I know you are just trying to do your job and I respect that. I also know I invited you back into my life. Actually it was more like my RE forced you on me. Something about suppressing my ovaries before IVF, but you're back, in all of your hormonal glory, none the less. 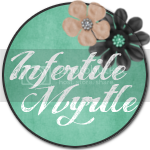 Due to my current infertile situation, you are probably not exactly thrilled to be back in my life either. I am sure my infertility takes away from the main task in your current job, you know that whole "controlling birth" thing. I know that must be really heart warming for you every time you prevent a teenager or young college coed from getting pregnant. I am sure you take those cases back to the office and show them off to your boss in hopes of a big promotion or at the very least a gold star on your warning label. (By the way, what exactly would a promotion be for you? Becoming an IUD?). I must be a real let down for you since I'm definitely not going to get you either of those things. I mean after all what will you say to the big boss man, "But Sir, I managed to keep a woman who can't get pregnant without the help some of the most advanced reproductive technologies from getting pregnant one crazy drunken night in bed." I'm pretty sure that isn't going to win you that Employee of the Month parking spot that you have been longing for all year. So for that, I am sorry. I know you probably hate me too. I have probably set your forward career progression back by at least a month, maybe two. You see this is not all my fault though. BC... is it OK if I call you BC? Anyway...BC, I am just as much a victim here as you are. I have to deal with all of your nasty side effects like gaining weight, uncontrollable bitchiness, mid cycle spotting, and mood swings. Oh and WTF is up with my face looking like a 13 year old girl right now? I haven't had this many pimples since...well, since I was a 13 year old girl. I know my body will eventually get used to your presence, but I'm not planning for you to stick around that long. So I get all of your crap but none of your perks. I just wanted to let you know that while I am not all that fond of you, I do understand that you probably hate me just as much. You do some really great work, and I love you for that. But I am hopeful that this will be our last time working together. Best of luck in the future. I hope that Employee of the Month thing works out you. You deserve it. Hilarious! I hate BCP too. Yep birth control is awful!!!! Hopefully this is your last pack!! Is it just me, or do they put us on some awful old-school strong BCP for IVF? I had horrid reactions that I don't remember from before. YUCK! Great letter. Nice letter! I actually had wonderful side effects from BC! I am not sure if they would be good now after being off BC for so long, but I had a great reaction. I miss you BC, I'll only stay away long enough to have a baby! I cried like a hormonal nightmare for the whole four weeks on the pill. Ugh. Then the other night Chippie came out with the pearler - hey everyone I know gets pregnant as soon as they stop the pill maybe that is what you need to do. Nearly clocked him. I aint ever going back on that stuff!!! Awww sorry you're having some icky side effects. But this letter made me laugh (a little bit) - you're too funny. I'm right along with you and I'm sure it hates me too. After all is said with my infertility and being done with having kids, I need it for keeping my hormones balanced and my lining at a good thickness! Oh the irony! 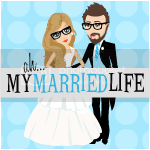 PS I just featured your blog!